When will be Angry Birds Blues next episode air date? Is Angry Birds Blues renewed or cancelled? Where to countdown Angry Birds Blues air dates? Is Angry Birds Blues worth watching? 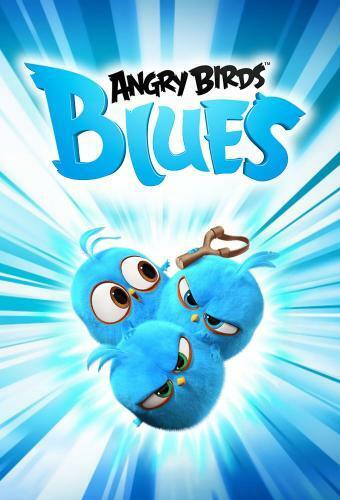 Angry Birds Blues is a Finnish computer-animated TV series based on the Blues and the Hatchlings that appeared in The Angry Birds Movie. Animated in the same style as in the movie, the series shows the lives of the Blues having fun, while the Hatchlings doing random stuff and ruining their plans. Aaaaargggghh! After being forced to make the plank, Jim leads a troop of pirate hatchlings to take over the ship steered by his brothers. However, his plot for revenge doesn't quite pay off as planned. The Blues get their building hats on once again when they decide to take over and help Dad with his latest project for Mom. Who is the strongest, fastest and wittiest Hatchling of them all? The Blues run the Hatchlings through various tests to find out, and who knows, maybe the winner gets rocketed into space! A well-rehearsed and perfect play quickly turns into chaos when the Hatchlings get involved. Turns out that chaos is just so much more entertaining. Angry Birds Blues next episode air date provides TVMaze for you. EpisoDate.com is your TV show guide to Countdown Angry Birds Blues Episode Air Dates and to stay in touch with Angry Birds Blues next episode Air Date and your others favorite TV Shows. Add the shows you like to a "Watchlist" and let the site take it from there.